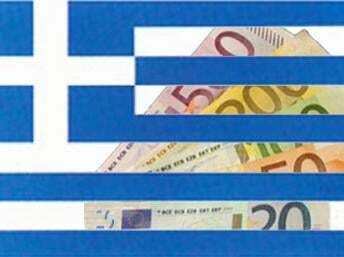 Greece transferred around €450 million to the International Monetary Fund (IMF) on Thursday. As a result, Athens has repaid its second major loan without being able to access new assistance. The country had already paid the IMF €1.5 billion at the end of March. Greek Finance Minister Yanis Varoufakis had promised the repayment of the second loan over the weekend in a meeting with IMF head Christine Lagarde. “The Greek government always fulfills its obligations to all creditors and intends to continue to do so,” he said. In the face of the dire social conditions in Greece, such statements are an unmistakable commitment to further social cuts and privatisations. Five years of dictates from Brussels have produced an unemployment rate of over 25 percent. The healthcare system has collapsed, and even malnourishment has become a mass phenomenon. Under these conditions, the Greek government led by the Coalition of the Radical Left (Syriza) has scraped together the money to repay the IMF loan. At the end of February, it was reported that the government had borrowed large sums from the pension fund to avoid state bankruptcy. At the end of March, the government then requested a pay-out from the state healthcare insurer of €50 million. The Athens Metro was also to lend the state money. To date, the government has borrowed €600 million from companies, including the electricity and water provider. Some €120 million intended to finance hospitals was retained by the state. In general, these loans have a very short time frame, and are aimed at avoiding a budget crisis while the government is in talks with the so-called troika of the IMF, European Central Bank and European Union (EU) commission. Athens is hoping to secure the pay-out of the last tranche of the bailout loan of €7.2 billion. The IMF loan paid off on Thursday was part of the first loan received by Greece from the IMF and euro group member states in 2010. The payment of these funds was tied at the time to strict austerity measures that threw the economy into recession and saw state debt explode from 113 percent of GDP in 2008 to 175 percent in 2013. According to the British organisation Jubilee Debt Campaign, the IMF has already cashed in on €2.5 billion in interest on the loans. But the bailout loans are being used above all to repay the European banks who held Greek debt and were paid horrendously high interest rates in spite of Greece being practically bankrupt. Five years later, the IMF is now demanding its money back. Since budgetary conditions have worsened due to the austerity measures, Greece is once again dependent on more loans for the repayments. However, the troika has tied the payment of such loans to further privatisations, structural reforms and budget cuts. It is clear that the brutal austerity dictates will not result in the improvement of the Greek economy or a reduction of the debt burden. European governments are much more concerned with offloading the burden of the crisis on to the European working class, with Greece as a model. With the unconditional repayment of the IMF loans, the Syriza government has once again made clear that it is prepared to do anything to support this policy. By plundering pension funds, healthcare firms and insurance companies to satisfy the IMF, Syriza has made itself even more dependent upon the troika’s bailout loans. If the troika decides to let the talks break down, these short-term loans will not be repaid. Greece is unable even to secure fresh capital from the markets. Greece paid 2.97 percent this week for six-month government bonds. The €15 billion limit imposed by the creditors for such short-term financing has already been reached. Further loans totaling around €6 billion are due for repayment by the end of May, which Greece will only be able to repay with the help of loans. Otherwise, state bankruptcy looms and potential exclusion from the eurozone. Troika representatives have thus far rejected all reform proposals and privatisations from the Greek government as inadequate. The latest move came on Thursday when the creditors imposed a six-day deadline on the government to produce new suggestions in areas of social security, the labour market and privatisations. The minister for government coordination, Alekos Flambouraris, said following this that he was “100 percent certain” that an agreement would be reached between the troika and Athens by April 24. This is the date when EU finance ministers will meet in Riga for a long-planned conference at which a decision on the release of the last bailout tranche could be reached. The fact that Syriza has accepted the austerity dictates and is now merely negotiating with the troika over details was clear during Alexis Tsipras’ visit to Russia. Although Tsipras spoke to Putin about the possible financing of infrastructure projects, he said nothing about potential loans that could reduce the dependence on the euro group. On the question of EU sanctions against Russia, against which Greece could, in principle, lodge a veto, Tsipras remained vague. “With all of the pleasantries between Mr. Putin and Mr. Tsipras: he did not abandon the line that we expect from him,” commented EU parliament president Martin Schulz of Social Democratic Party on German television ZDF’s Heute Journal program. The increasing attacks on democratic rights also make clear that Syriza is preparing to press ahead with further attacks on the working class. Syriza representatives have exploited clashes on the fringe of anarchist protests to call for a massive build-up of the state’s repressive powers. Deputy Minister of the Interior Giannis Panousis demanded the immediate reestablishment of the hated communal police, which fell victim to the previous government’s austerity measures. Along with the police, the military is also excluded from budget cuts. On 15 March, Tsipras signed a contract for the modernisation of five surveillance aircraft at a cost to the state of €500 million. Defence Minister Panos Kammenos of the right-wing Independent Greeks (ANEL) demanded the expenditure in order to be able to meet NATO requirements.